Republished from AppleInsider. January 11, 2010. 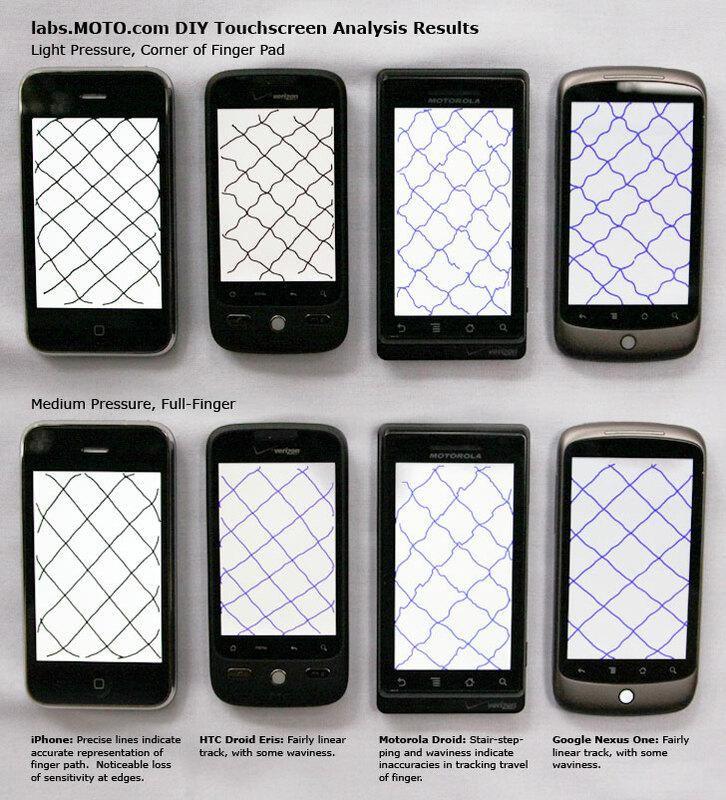 A test comparing the accuracy and sensitivity of smartphone touchscreens across various makers gave the iPhone top marks ahead of HTC’s Droid Eris and the Google-branded Nexus One, and much better results than the Motorola Droid. Republished from the InfoGraphicsNews blog. 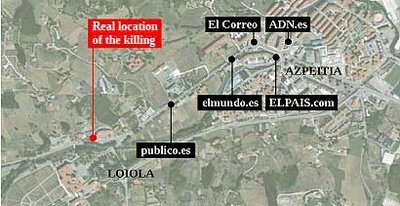 Yesterday, the terrosrist group ETA killed another person in Spain. In this cases, as most of the cases, internet media have the initative. The first idea is to place the new. Shw where it took place. But the problem is that in this kind of news all the information is changing all the time during the first hour, and the data are not accurate. Yesterday, we only knew that Ignacio Uria was killed while he was going to his favourite restaurant, Kiruri. We didn’t even knew if he came form his house or form his job. None of those that placed the killing on a exact place were right. Some rectified later, others didn’t even change it. Being the fastest can’t go before telling the truth. On reconstructions many editors use to say that “the reader know this is not exactly the truth, that we’re just guessing”. I don’t want the reader to not trust us. I prefer to have a reader who really think that when we say something we know it and we’re not guessing. Continue to view screenshots at InfoGraphicsNews blog . . .
Another disastrous consequence of inaccurate spatial information… Not only can you accidentally tag your neighbor as a criminal, now it appears that sloppy spatial data has lead to the wrong house getting demolished. I’ve asked it before but its worth repeating … with all the recent advances in spatial data publishing, where are the advances in metadata and data quality assurance? How do you know where the data comes from, what’s been done to it and by whom? What is the intended use of the data? For the vast majority of the data being shoved out onto the web, these bits of metadata are sorely lacking. Of course this case is more a matter of one person’s sheer stupidity; I’m not sure any caveats in the metadata would have stopped the wrecking ball! Being able to record where a photo is taken one of the key features of the new iPhone. Not only does the phone capture a great picture but there is no residual “Now where was I”. You can instantly see where the photo was taken on a detailed map. 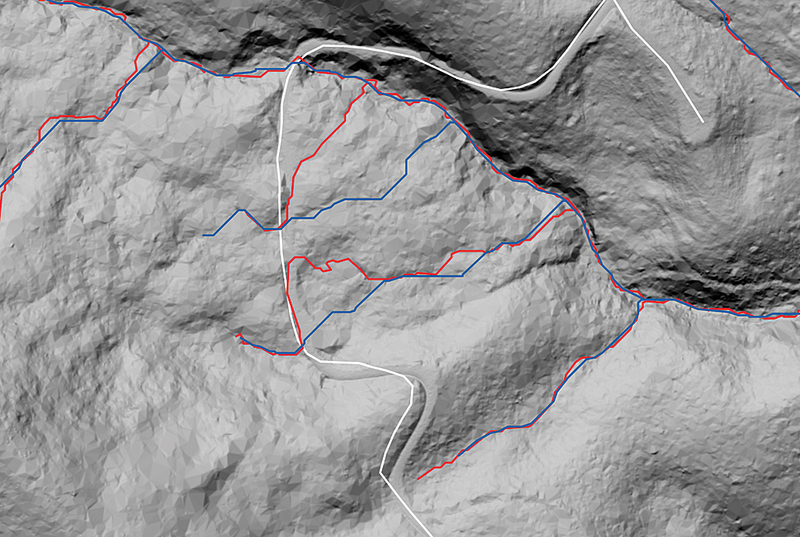 This is great for geocoding when surveying, but what are the social implications? Do you want to share this level of detailed personal information? Upload a week’s worth of photos. Normally you are adding captions and keywords that someone who already knows you can piece together and perhaps guess or already knows where all these physical places are. But you’ve gate-keeped based on “you need to know me and know enough about me” to get it. Up until now, you’ve controlled the information flow based on how much you tag the photo in the context of how well your online “friends” know you. Related links: adding GPS locations to photos when you don’t have a GPS (one) (two) (three) (four) (five). Now someone who doesn’t know anything about you, and with whom you might NOT want to share that level of personal information, can instantly become your first stalker. They know exactly where you live, exactly where you work, exactly how you get to work, and exactly where you relax and have let down your guard. Something to consider as an adult and perhaps lock-down if your child has a GPS-enabled cell phone. Of course, if you’re on a tourist trip and taking pictures of Yellowstone and the Statue of Liberty and are never going to be there again it’s perfectly fine to include the full GPS coordinates since that doesn’t disclose personal information and you’ll not routinely passing by there again. However, if you visit Aunt Mildred in Brooklyn on the same trip you might want to limit access to her home’s location. I’m invincible, right? What do I care? I was at a friend’s house party on Friday and took a few pictures and was about to post them when it hit me: I’m potentially compromising her safety, not just my own. If I post those GPS enabled photos some random person could view the photo (hey, it’s up on Flickr for anyone to browse) and know which front door to be waiting at. Skechadellic, dude! I have a swimming hole I’d like to keep on the down-low but when I go out there I take a few shots with my camera to remember the scene. If I post those on Flickr with the GPS coordinates suddenly anyone that views my the photo tagged “My secret swimming hole” can see it placed exactly on that blue map polygon and route directly to it. Not so secret after all. Oops! Notice how I do NOT have this option checked. But my GPS information is still being read in and placed on my account map somehow. Bad! The best, fail-proof option is to not record the GPS information when the photo was taken. But then you loose that information for your personal record. The iPhone asks the first time a GPS enabled application is launched if you want to allow it access to the GPS. Press “Don’t Allow” and you’re set. But once you have enabled the camera to know the location you can’t disable it until the phone is turned completely off and restarted, less than convenient and oh so easy to forget about. You can go to the General Settings area of the phone and turn Location Service on and off without restarting the phone, however. There should be a middle way when uploading and displaying on photo sharing sites like Flickr. This way you retrain full GPS location for your private records but only let out an approximate public location for everyone else. 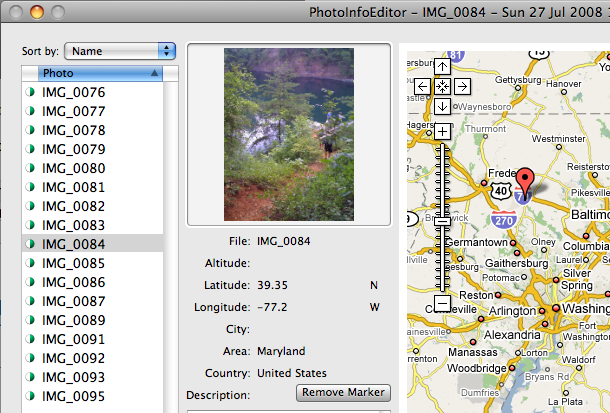 For the Mac you can download PhotoInfoEditor to edit the precision of the GPS coordinates stored in the EXIF information for the photo (or a duplicate targeted for public upload). I had a devil of a time finding this app as most simply report the GPS coordinates; they do not allow them to be edited. If someone knows of a comparable app on the PC please email me. Notice in the screenshot below that I have stripped the latitude and longitude to display to the hundredth (39.35° N). You could just as well scramble the coordinates down to the 4th or 5th decimal position when in the city and still be in the right neighborhood but no longer be at the right building. Photosets can be batched adjusted. When you do this before uploading to Flickr or Picasa you can have the benefit of placing your photos on a map with some accuracy but just not with a high precision. In other words, don’t zoom too far into the map or the photo locations become inaccurate. But zoomed out they are perfectly acceptable. How can software be improved? The GPS precision needs to take into consideration that the number of earth miles at each degree of latitude changes. Simply chopping of decimal places is a crude solution. A more elegant solution would be to add a random ± X decimal degrees to the actual location at the target precision. Even though the iPhone GPS can get you down to 10 meter accuracy, sometimes you don’t want to be that precise. I’ve already spoken to the developer at AirMe which is my favorite app on the iPhone for uploading to Flickr and he seems interested in making the required upgrades to his application. Please help spread the word to other developers!